Erica Bunker | DIY Style! 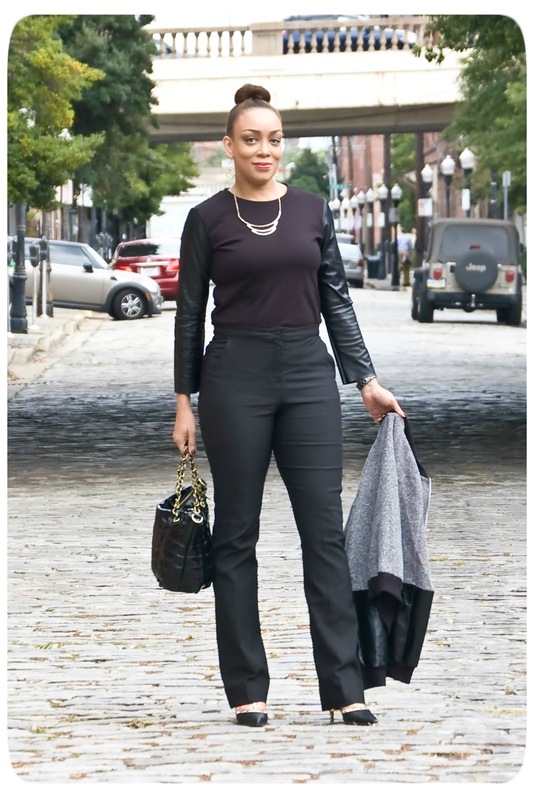 The Art of Cultivating a Stylish Wardrobe: Review: Vogue 9032 | Tailored Black Trousers! Fall wardrobe building and closet hole filling is in full-effect! I'd mentioned on my Instagram last week when I was started these pants that I was in dire need of a pair of basic black pants. I've lost 30 lbs and almost all of my pants are falling. I know there are worst problems to have, but I wear a lot of black and these are a basic need. I needed a pair of pants that would be machine washable. So this stretch gabardine that I picked up at Hancock fit the bill. I also wanted a flat-front style with pockets. And I wanted them to be fitted but have flared legs. I sometimes shy away from full blown wide-legged pants. They hang from the hips and make me look wider than I am. So I picked Vogue 9032, view C. This view even recommended using a stretch woven. So I was already on point with that. I cut the size 14 and lengthened them by 5 inches. I need a 36" inseam to wear with heels. And I would always wear heels with this style pant. What I really love about these pants are the princess seam detail! Here are some quick shots of the pocket details that I caught as I was constructing these. I am a fan of pants pockets that connect to the center front like this. It gives a smoother look. And with any pair of pants with a fly front, I always refer to Sandra Betzina's method. It works perfectly every single time. Wearing: jacket: Burda 7210 and top: Simplicity 2054. This is a great pattern. Even though I'm not a fan of pleats, I may give the other view a shot as well. I really like the idea of a pair of wool culottes. And I'm in search of more stretch wovens, because I'll be making this view again, real soon! I like the pants but I really like the sleeves on the top. Thanks Nylse! It was a dress and I cut it off and made it shirt so I could wear it more often! Gorgeous pants! I am definitely going to check out this pattern. Congrats on the weight loss! Nice pants. I'll definitely check out this pattern. Your pants are great! They are such a classic. And don't worry about pants with the pleats…you should go ahead and make them because you look gorgeous in everything! I thought I recognized that dress:) Great-looking pants, and a great reason to need to make them! I love getting mileage out of my clothes! Thanks Angela! Amazing how you got the fit straight on...no gaping, etc. What's your secret, Erica? It's really the cut of this pattern. I don't think most will have have any fit issues if they use a stretch woven as recommended. Thanks MB! Also noticed that you used a zipper longer than the fly. Do you cut the zipper to fit? You are looking fierce! These pants are just...I don't even have the words for it. You really rocked them ma'am. Great looking pants, perfect fit! I love your whole outfit. Fabulous pants, they fit perfectly. Fabulous just fabulous sew sistah! These will be my next pants project! Love the look! You should definitely make these! Thanks Regina! You look fantastic Erica! 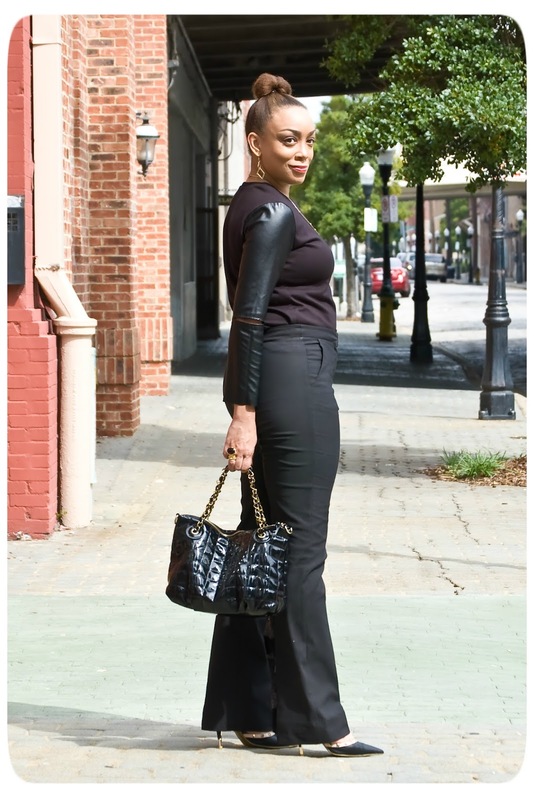 I love how you styled this outfit, very chic, with a bit of edge! I love this look! And, I really enjoy your blog. 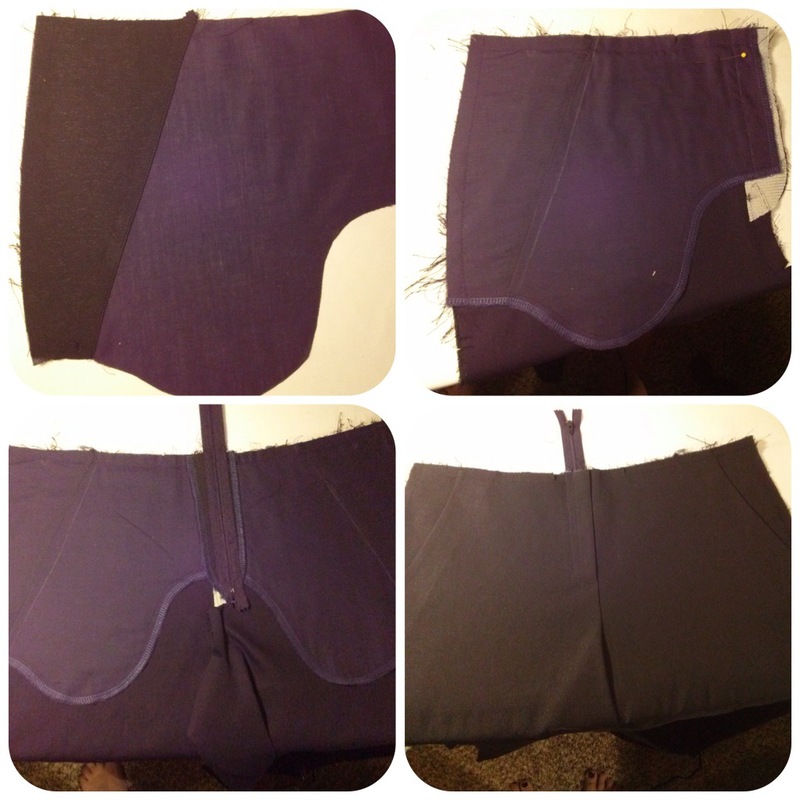 I'm trying my hand at sewing and you are a great inspiration. Perfect timing for this review! I am in need of a good pants pattern (like you I need basic black pants) and this one looks like it fits the bill. Thank you. You look great, as always! 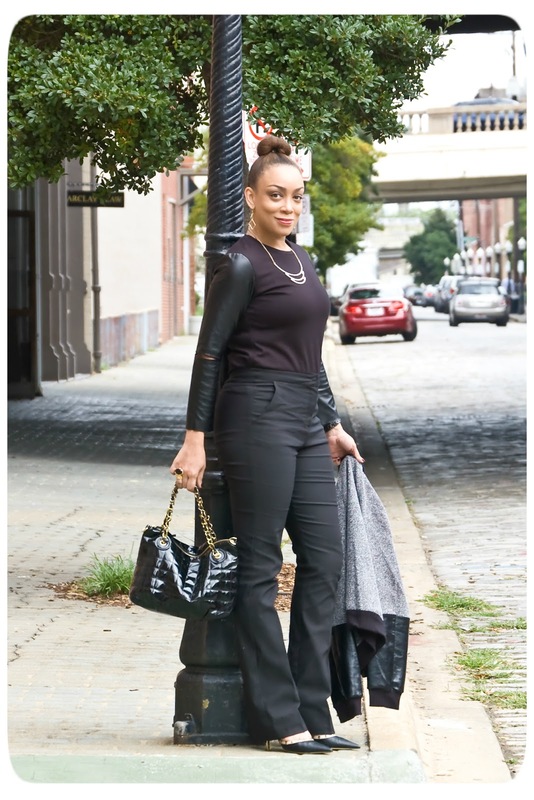 OK, Erica B...your pants inspire me. I have it in my head to make a pair of pants, but I keep putting that project on the back burner for fear of...pant fitting failure. Time to step up, I suppose. Your styling is tres chic, as usual! Wow. Wow. Wow. Looking good!